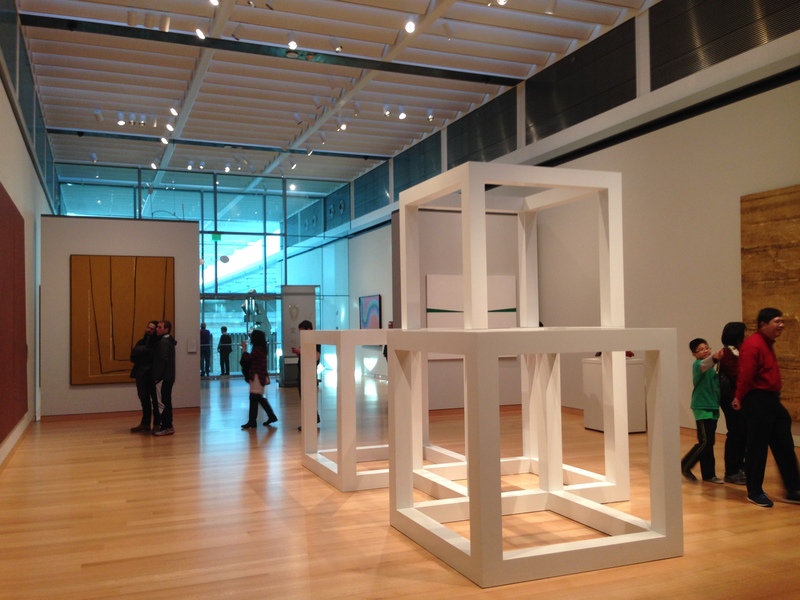 We were free on the 26th of December, so my girlfriend, several of her family members, and myself went to Boston to spend some time at the Museum of Fine Arts (MFA). 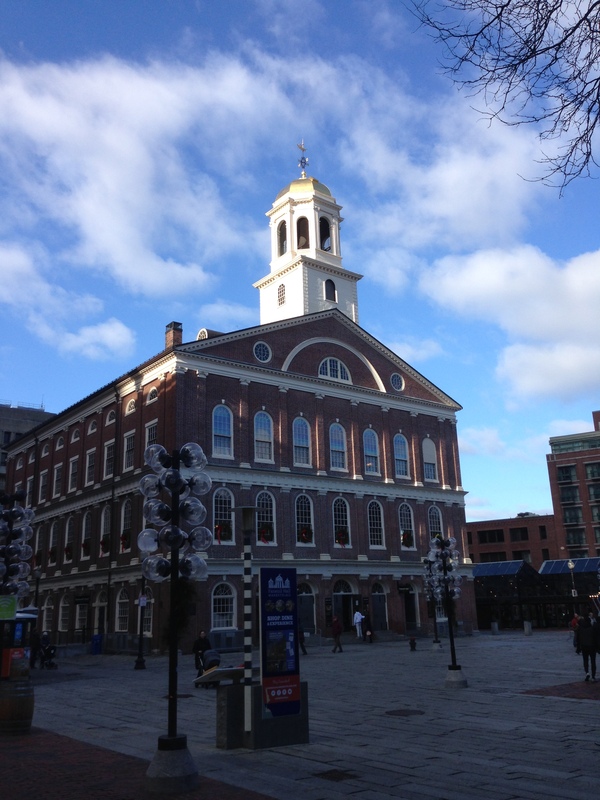 We parked near Faneuil Hall and met up with a friend before catching the T over to the MFA. It would’ve been an hour walk on foot. First we took a gander at some contemporary art on the third floor of The Art of the Americas Wing. And we wound up finding a side corridor that I didn’t know existed. It ran along the outside of the building and had large windows that looked out over Huntington Ave. 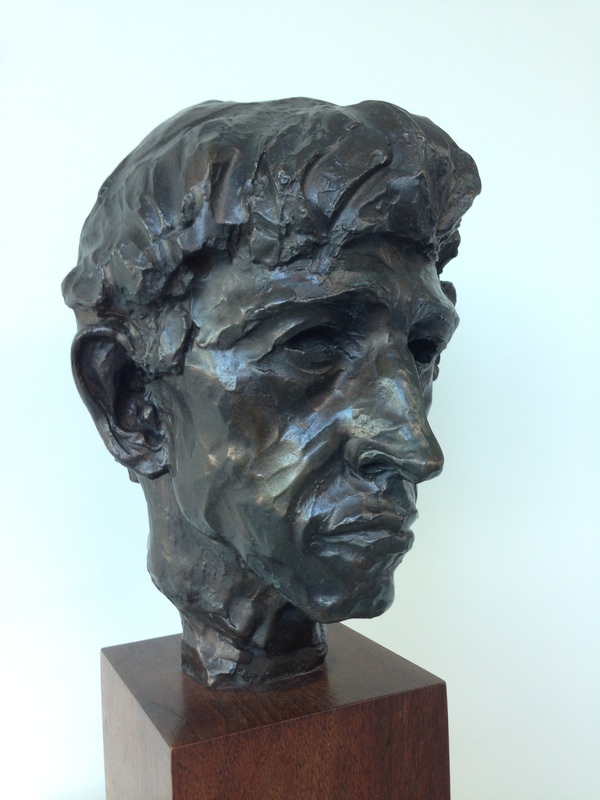 There were several sculptures in the corridor, one of my favorites was this bust of John Marin by Gaston Lachaise. We then headed downstairs, where I did a couple of sketches. First I sketched Watson from John Singleton Copley‘s Watson and the Shark in my 4″x6″ sketchbook. You can compare it with the actual piece below. After finishing up with the “Copley Room” I walked over to the “Sargent Room.” I was pleasantly surprised to find several paintings I’d seen at the John Singer Sargent watercolor show a year ago. 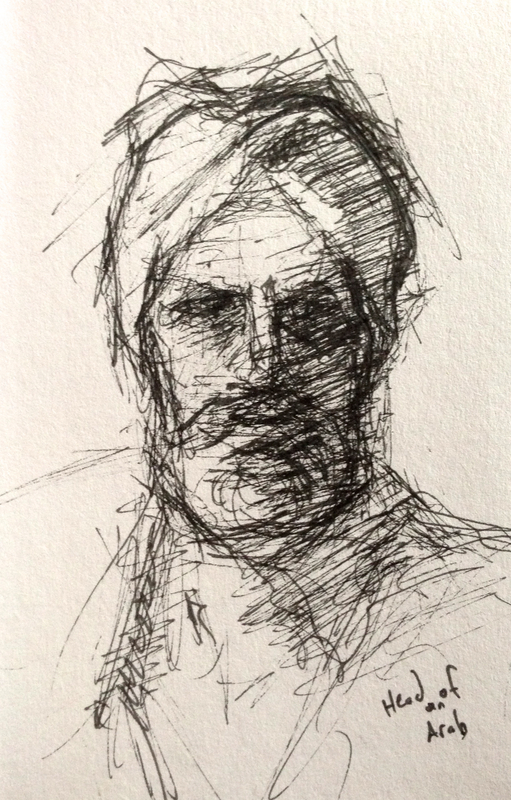 I stood in front of his Head of an Arab and did a quick sketch. I started the drawing with my glasses off, focussing on value instead of line. After I’d figured out the lights and darks I started to refine the features. 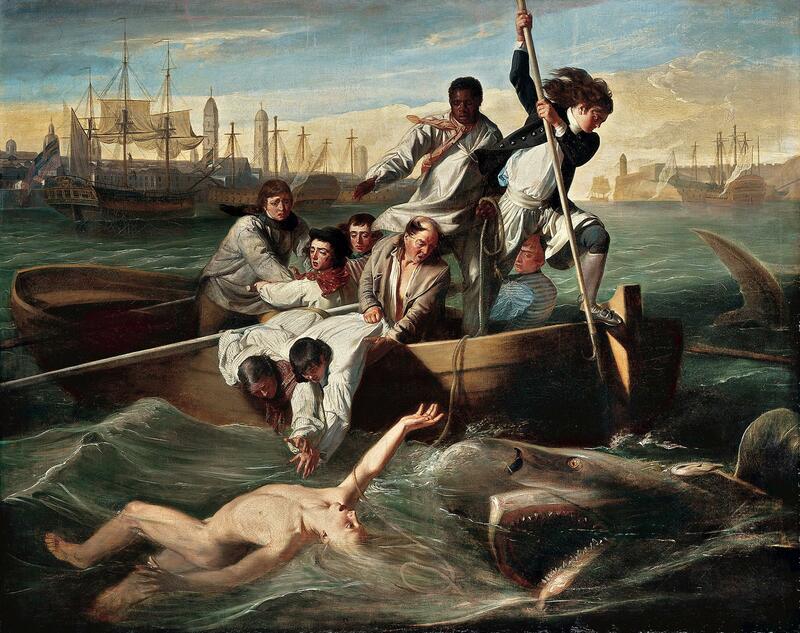 You can compare it with the actual painting below. After checking out the Americas Wing we went over to see the Jamie Wyeth exhibit. The Wyeth show was lots of fun, but the thing that stuck out to me the most was this painting. It is titled Southern Light and is a portrait of Wyeth’s wife Phyllis Mills. I was drawn in by the simplicity of the stars. They are rendered by simply separating light and dark. As I looked at the stars I began to notice the peculiarity of the shadows on Phyllis’ dress. They are not dark. They are loose washes of umber that bleed a yellow-red light. they shouldn’t function as darks, but they do. 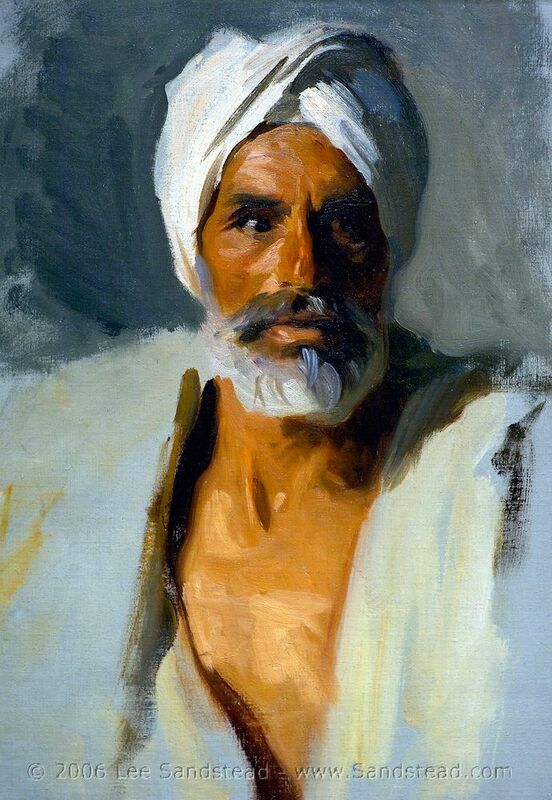 Wyeth uses this technique in several areas of this painting, keeping the shadows scraped away and light. It gives the painting a luminous quality. Here is a photo I took of the actual painting. You can really see how red and loose the darks of the dress are. All-in-all a good day at the museum, though I wish I had more time to sketch. I’ll have to go back on my own some day.